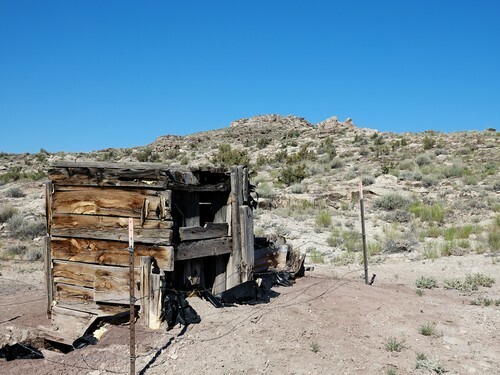 ​Begin this trip by visiting 1950's uranium mines and Smith Cabin on the Cottonwood Wash Road. Make quick visits to the site of the never completed Spirit Railroad and an overlook of of Little Grand Canyon on the San Rafael River. 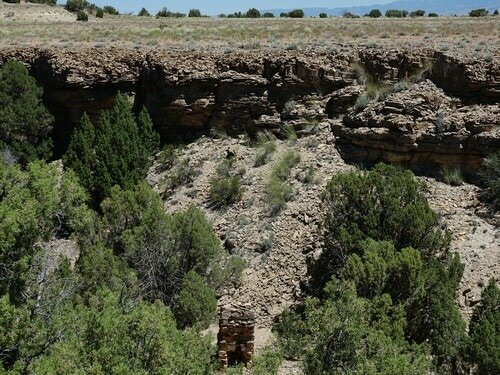 Finish by viewing fantastic rock art in Buckhorn Canyon. 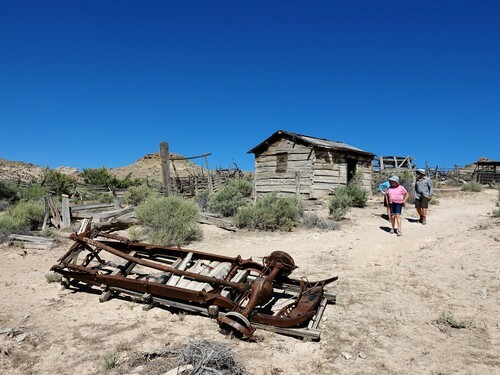 There are close to a zillion uranium mine shafts at the beginning of this trail. 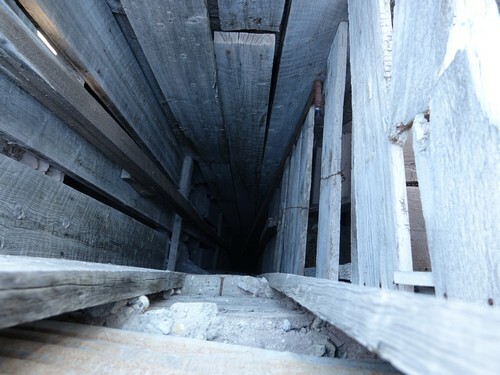 I believe the one pictured here to be one of the "Incline" mines by Atlas Minerals Corporation. See this map of Mines in Western United States. 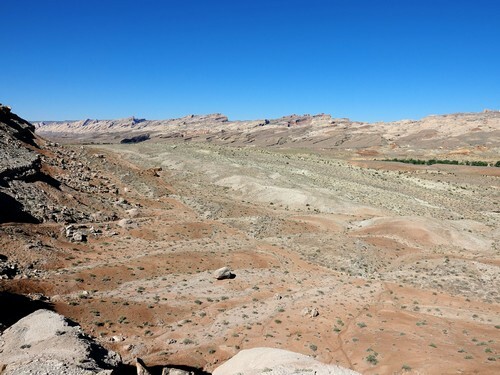 Follow the track to the end of the spur for an overlook of the san Rafael Reef. The road up Cottonwood Wash beyond Smith cabin is not very interesting. I included it to make this a through trip instead of an in-and-out. 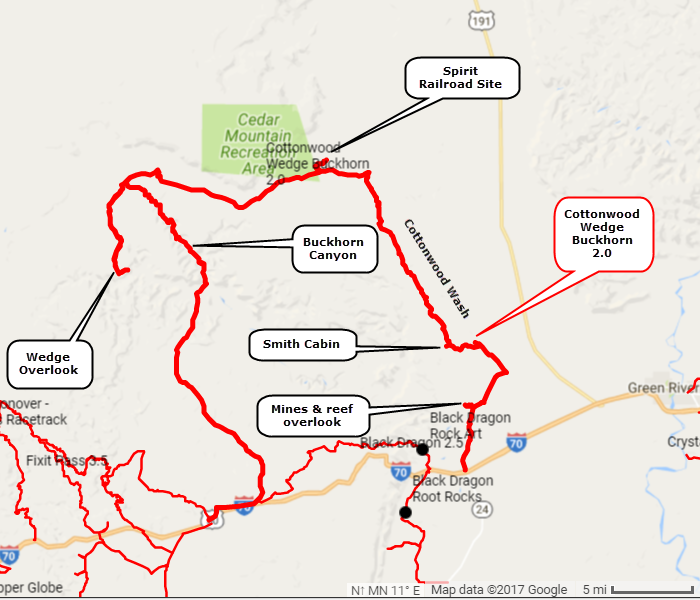 There really are better ways to reach Wedge Overlook and Buckhorn Canyon if those are your main interest. 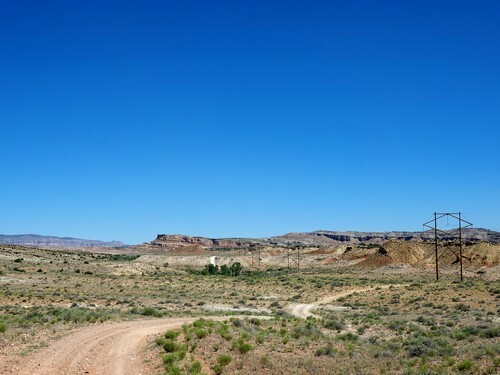 ​Cottonwood Wash Road ends on the Green River Cutoff Road. Turn left and you will soon see a sign directing you to Historic Spirit Railroad site. Little Grand Canyon on the San Rafael River is quite impressive. 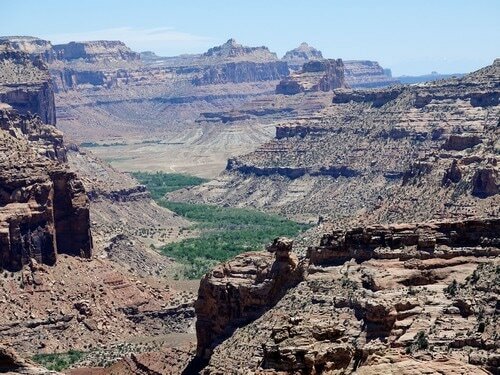 One of the highlights of the entire San Rafael Swell is the mysterious Buckhorn Wash pictograph panel spanning over 130 feet. 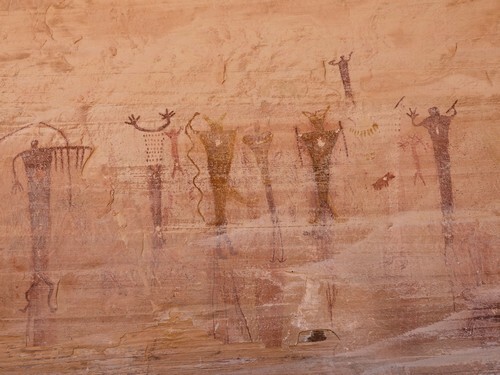 A pictograph is painted onto a surface, and a petroglyph is carved or pecked into the stone. There are some faint petroglyphs here, but the red pictograph figures are the stars of this site! 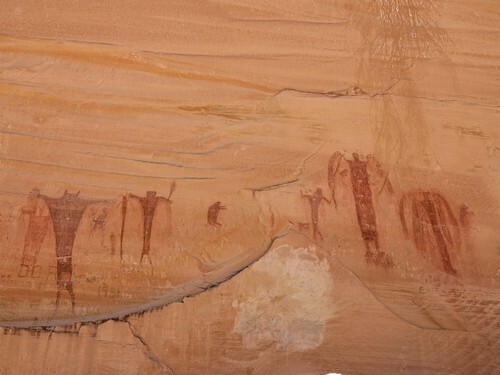 The main panel was painted well over 2,000 years ago by a Indian culture archeologists have named “Barrier Canyon Culture”. 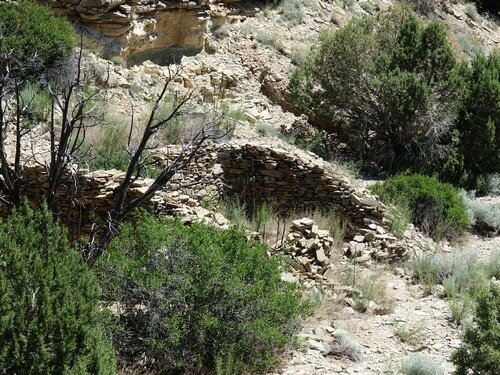 The Barrier Canyon people were an archaic age hunter-gatherer society, living in caves or brush shelters. Buckhorn Canyon is a beautiful ride. The road from the canyon to I-70 is much more open with wide views. 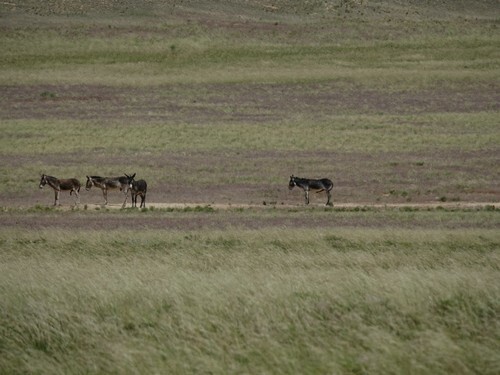 You may see burros.